On a cold, January day as the temperature dropped with each gust of wind, Randle De Graaf made his way to his first class at William Paterson University. When most people are waking up, he arrives just after seven o’clock in the morning and is the only one in class for at least a half hour. De Graaf is a 24-year-old who has seen and done things that most people never do like contributing to the deaths of ISIS members, the Islamic extremist terrorist group from various regions in the Middle East. There was a time when the junior could wake up from a nightmare or hear something in the middle of the night and go back to sleep. Now he cannot. “If I hear something, anything actually, I can’t go back to sleep for the rest of the night,” De Graaf said. De Graaf has something in common with an estimated 20 million Americans. He is a military veteran. For the select few that have been deployed and returned home, they tend to not make it known. A quieter problem that hasn’t gained public notice until recently is suicide among veterans who have PTSD. In some cases, they feel that there is no one to talk to. According to the veteran affairs website, ptsd.va.gov, in Operations Iraqi Freedom and Enduring Freedom, between 11-20 percent of the soldiers have experienced PTSD. Those soldiers specifically are three times more likely to commit suicide when they suffer from subthreshold PTSD. The difference between PTSD and subthreshold PTSD lies within the professional’s diagnosis. Subthreshold PTSD is caused by a traumatic event, but it doesn’t meet the requirements for PTSD. William Paterson University holds a trait not every college has. A status where the veterans program is known throughout the community must be earned over time. For the eighth consecutive year, it has officially been recognized as a “Military Friendly Campus” according to Victory Media. The campus can only be designated that status by returning a survey. The survey evaluates multiple areas including but not limited to: graduation and career outcomes, culture and commitment and financial aid and assistance. In addition, William Paterson is the only school that offers the Iraq/Afghanistan waiver. This document waives tuition for any veteran that meets specific regulations. 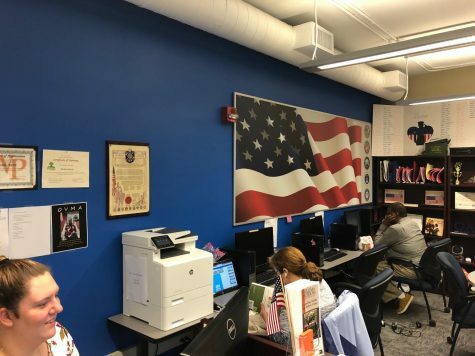 William Paterson is also the only New Jersey campus to offer a club called the Student Veterans Organization and a chapter of Omega Delta Sigma, the National Veterans Fraternity. Although former-President Kathleen Waldron made it clear that William Paterson does not try to top or out-perform other colleges, the administration continues to look at what other campuses do to make sure they stay up to date. That is one of the reasons William Paterson is among the top tier colleges when it comes to their veteran presence. For the eighth consecutive year, it has officially been recognized as a “Military Friendly Campus” according to Victory Media. The Office of Veteran and Military Affairs sits adjacent to the bus and shuttle stop next to lot five on William Paterson’s main campus. Just above the single, silver door entrance is an American flag which is brought in during bad weather. 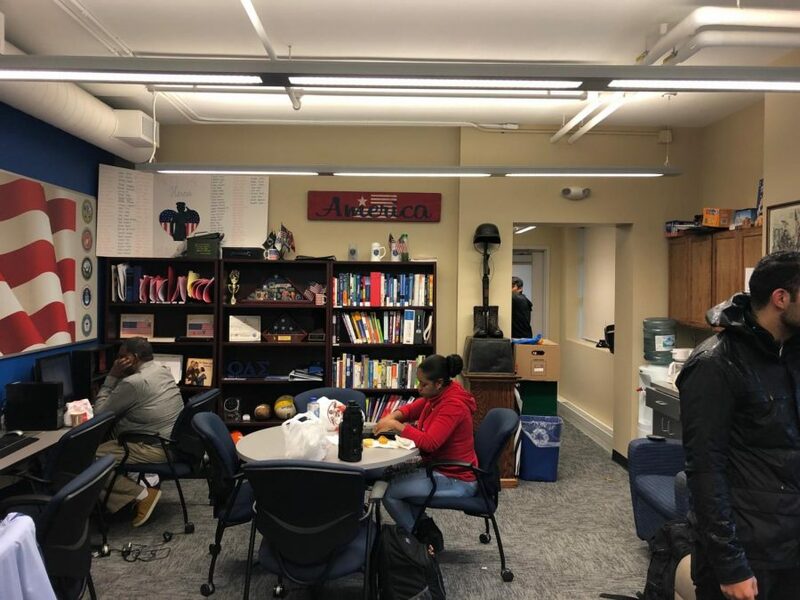 The office was first opened in the fall of 2015 after it was relocated from its original spot on the third floor of the John Victor Machuga Student Center. Only Patrick Batallones, who was in Aviation Operations in the Marine Corps, remembers the office at its original spot. “I remember when I was taking the tour, the first thing I saw was the new veterans office, and that was before the addition of the flag,” Batallones said. The reputation of the veteran community on campus is so large to the point that it’s an easy decision to make, according to Jacob Martinez, a 35-year-old veteran. “Once I visited the Office of Veteran and Military Affairs, I knew this was the school I was going to attend,” Martinez said. Martinez is taller than most. His gladiator-like arms are tattooed – his left arm with a screaming skull to signify that he left death behind him. These same arms have held two baby boys and an M4 Carbine rifle in over 100-degree heat in Iraq. When Martinez began to wear the uniform, it was nothing like he expected. The stories from his grandfather, who also was an army soldier, could not fully prepare him on what was about to come; however, after enlisting there was no turning back. “After joining, I sought to be the best representative of my training in every aspect,” Martinez said. It was in Baghdad where Martinez had the proudest moment in his military career. It was delivered to him on a piece of paper. For the soldiers, returning home is what most of them look forward to. Both De Graaf and Martinez had one goal in mind coming home: to get real food. Each made a laundry list of restaurants that they longed for from Applebee’s to high-end steakhouses and everything in between. The office itself can be an escape. The room is for both veterans and dependents. 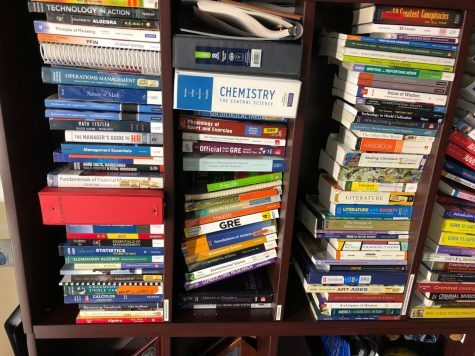 It is smaller than a classroom and is personalized with navy blue lounge chairs, three computers and a small library filled with novels and textbooks from different fields of study. All have been donated for the convenience of the veterans. Currently, PTSD is a problem among the veteran community that is only starting to get noticed by the public. If a veteran is enduring severe PTSD, the office is a safe space where they can go to talk. 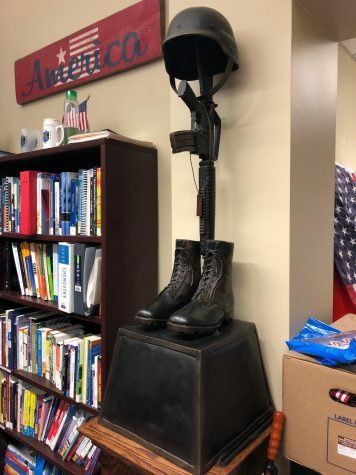 However, in the event a veteran does become a threat to themselves or someone else, the office is willing to work to provide aid in correcting the problem. It is in those rare times of tragedy when people start to pray and wish they could have done something. Like in 2014 at Fort Hood, Texas, when an active duty army soldier killed three soldiers and wounded 12 before committing suicide. Or the incident at Baton Rouge, Louisiana in 2016, when an ex-Marine sergeant killed three and wounded three before being killed by police. The office is William Paterson’s preemptive strategy, and due to the environment it provides, it’s effective. And some can never make the change back to civilian life and it overwhelms them. De Graaf’s friend, lance corporal Brandon Berellez, lost his battle with PTSD and took his life. Little does the public know, it is the simplest actions that civilians do that can infuriate veterans. “One thing I hate is walking by someone and seeing their hands in their pockets,” De Graaf said. Going back to school after returning home is not always at the front of the mind for some. Martinez never considered himself a good student but gave college a try using his GI bill. The GI bill is designed to help veterans cover the cost of education or training. Going back to school can be nerve-wracking and might seem like an inordinate task. Martinez maneuvered through his first day back and got settled in quickly. A common stereotype of a veteran to civilians is “old,” “handicapped” and “worn down.” This is a common misconception. A new wave of veterans is a key part of today’s society and they come in all different sizes, ages and colors. Furthermore, a veteran does not have to see combat and kill people. No matter what they did during their tour(s), everyone who completed one is a veteran. Regardless of their track records, the support throughout William Paterson runs deep in the student body. The Office of Veteran and Military Affairs sponsor some of the events on campus that help promote awareness of the club and the events. These events are not the same and have changed through the years. One major event was in the fall semester of 2017 called The Telling Project. Six veterans from the William Paterson community took the stage at Shea Center for the Performing Arts and told their personal stories of war through a theater production. Waldron mentioned that this is not the first time The Telling Project occurred at William Paterson, but no one would know that unless they attended the previous year. Waldron left the events up to the student body and what they felt would be strong topics. For this year, the Office of Veteran and Military Affairs is sponsoring four of the five events that take place during Veteran’s Week. The last one that is possible to attend after the time of print is “Frontline Paper” on Tuesday, Nov. 13 at Zanfino Plaza from 10 am to 4 pm. Attendance at the events during Veterans Week is something that would like to be improved. Some of the events are difficult for the veterans to take part in and they want to make it worthwhile by performing for a packed house. The office sponsors and creates events that go throughout the year, but the time people tend to go is only during Veterans Week. “The people putting these events together are some of the bravest among us and showing support is always deeply appreciated,” Martinez said. Veterans are a part of the community and not all of them are former-deployed soldiers. It is important that the veterans that keep the country safe have someone to turn to if they need it. 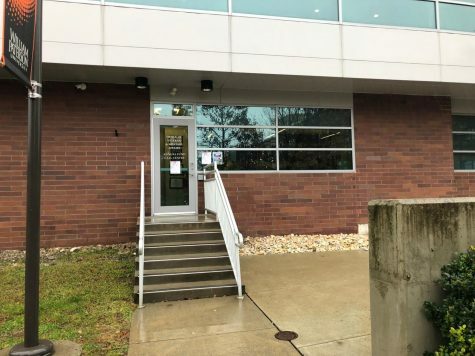 There are many communities that don’t have an office accessible like William Paterson’s and it can feel like there is nowhere to go.